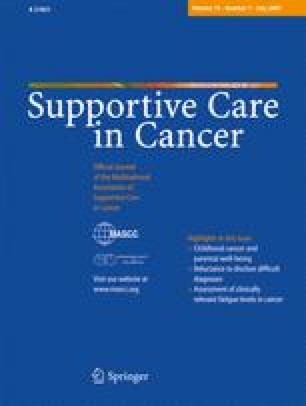 Participants’ perception of quality of life (QOL) and respondent burden have significant implications for investigators’ ethical responsibilities to their subjects in phase I cancer trials. To address these responsibilities, analysis was conducted on participants’ views of their experiences of a phase I trial, including the associated burdens and what constitutes QOL. One hundred potential participants of the endostatin trial were surveyed. Sixteen of the 18 trial participants were interviewed extensively about their experiences on the trial. Participants described ‘normality’ as a baseline ability to function, be productive, and be free from symptoms of disease and side effects of treatment. Reflecting the relative nontoxicity of the study drug, participants contrasted their current QOL with their negative experience of previous cancer treatments and viewed their QOL as fairly good. However, participants emphasized that indirect and procedural burdens of trial participation had a significant impact on their current QOL. Candid descriptions of a trial’s practical demands, in addition to potential physical complications in a trial, could improve the quality of informed consent.